Look at Single Family permits (blue bars) in 2011 compared to the last three market peaks in 1984, 2000, and 2006. Volume would have to triple this year to match the 2006 peak. 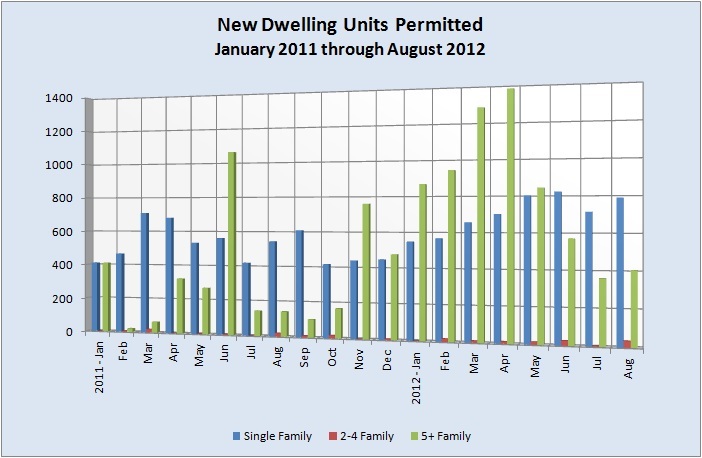 Multifamily permits, on the other hand, by the end of August had almost matched the full peak year for that segment. 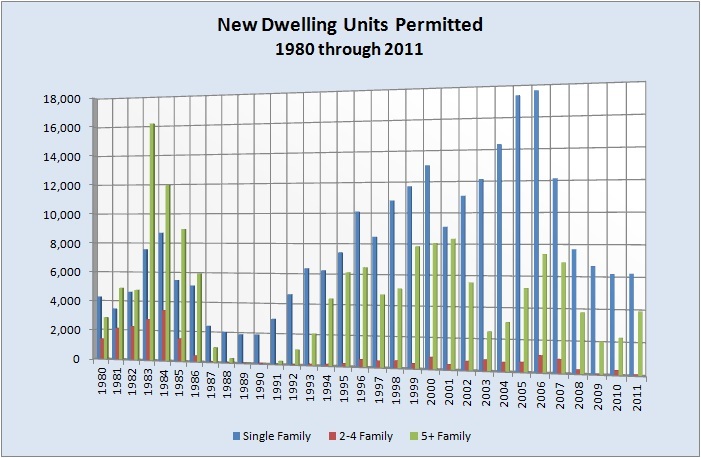 Notice that the last real “boom” in building duplexes and fourplexes was in the mid-1980s. The “boomlet” in the last cycle was much smaller — a 5-year (2003 to 2007) total of permitted units 1/3 the total from 1981 to 1985. This is a negligible segment as new construction becomes a significant contributor to our residential market. 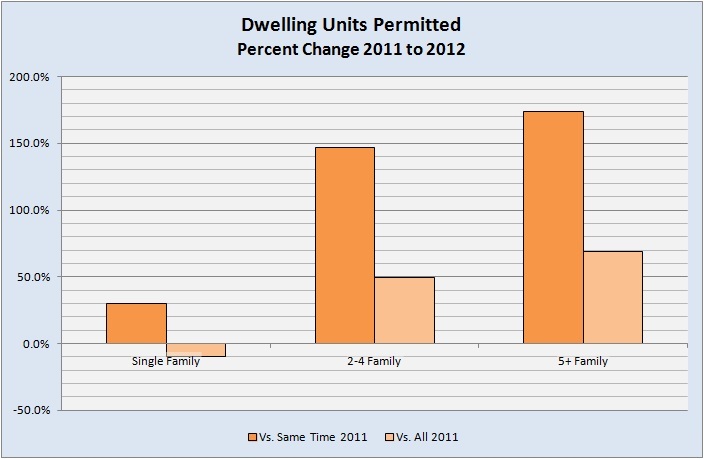 Even though permits in this segment are up almost 150% compared to last year, the total in 121 units this year — about 1% of the newly permitted units in the Single Family and 5+ Family arenas. Permits and actual construction can be two very different things, but it appears that the confidence is in place to makes these plans real. I’ll keep an eye on permits and monitor reports of ground breaking and grand openings, and keep you informed.